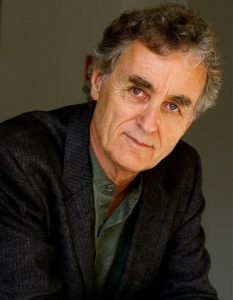 Photo: Fritjof Capra, a physicist of Austrian descent. Photo accessed on Wikimedia Commons. Austrians are natives of the country of Austria and often speak German, yet do not consider themselves to be German. Austria a landlocked country surrounded by Germany, Czech Republic, Slovakia, Hungary, Slovenia, Italy, Switzerland and Liechtenstein. Many famous cultural icons such as Wolfgang Amadeus Mozart, Ludwig van Beethoven, Gustav Mahler and Johannes Brahms were Austrians. The Austrian population data represent DNA samples from 222 randomly selected individuals from Austria. Samples were provided by the database release sorted by marker and country of the ENFSI database.